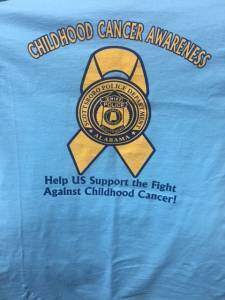 The Scottsboro Police Department is proud to be holding our 3rd Annual Childhood Cancer Awareness Campaign tomorrow, August 10, 2017. 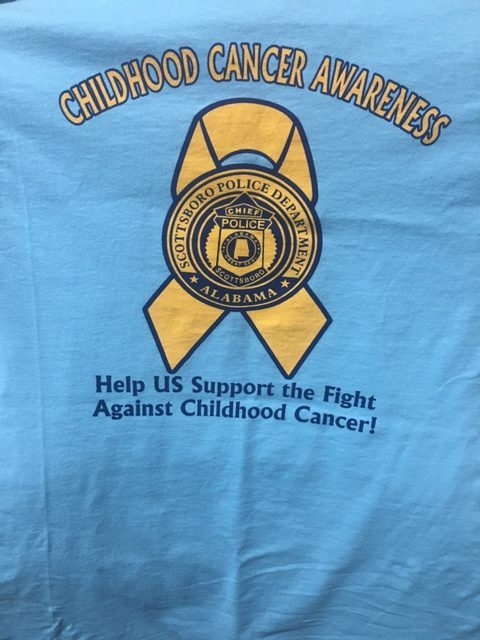 Shirts will be available for $10.00 and can be purchased at the Scottsboro Police Department between the hours of 8:00 am and 4:30 pm Monday through Friday. All proceeds go to St. Jude's Children's Research Hospital and Sadye's Fund.